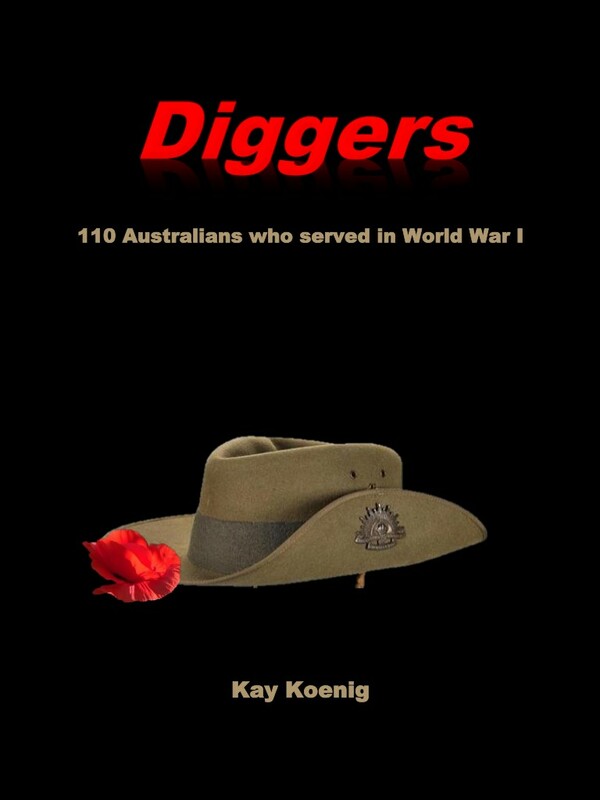 A book about 110 ordinary Australians who served in the Australian Imperial Force during World War I. They came from all walks of life. Some were farmers, others labourers, miners or clerks. One was a doctor another a priest. Many of their parents and grandparents were Australian pioneers, others were newly arrived immigrants. Some descended from convicts, others had an aboriginal heritage. The youngest was seventeen and the oldest forty-five years old. They fought in Gallipoli, the Middle East and on the Western Front. They were soldiers, sappers, signallers and stretcher bearers. They served in the infantry, light horse, artillery, medical corps, the service corps, the air corps, the payroll and postal corps. They were heroes and cowards, privates and officers. Some died, some were wounded and nearly all were ill at some time during the War. They were not famous. Yet, all had an interesting story to tell. These were sometimes sad, inspiring and even funny. They described Australia’s early years, the war and life during the first half of the 20th Century. There is also some general information about the war, pre-war Australian history and a final chapter that used the information in the book to extrapolate about all of those who served between 1914 and 1918.